Easily display and view your garments. Now with two separate zip openings for easier access - unzip and flip the flap! 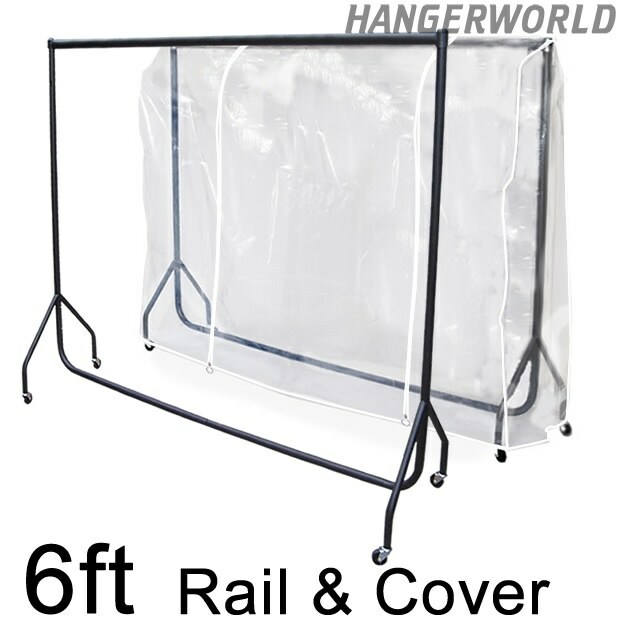 High quality protection of hanging clothes from dust, dirt and showers! Steel, black finished heavy duty construction. Display garments to customers or use for additional home storage. Great storage solution for student accommodation. Supplied flat packed and only takes a couple of minutes to assemble - no tools required. Complete with castors but rail can be used without them. Cover size: Width x Height x Depth 180cm x 165cm x 60cm approx. Rail size: Width x Height x Width 184cm x 154cm x 52cm approx.